It’s a New Year and are you ready for the New You? 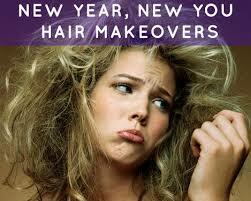 It’s time to make a change and update your look and hair! If you are low or high maintenance then Balayage or Color Melt Ombre is your Go To! This service is great for On the Go Moms or Workaholics, which gives you an upscale look with minimum maintenance! This is a great highlighting technique that gives you the choice of minimum to maximum highlights, without the worry of major upkeep. Depending on your desire of tones, you have your choice from a beautiful blonde to a Carmel Burnette and anything in between! So call and set up an appointment at NY Hair Company in Las Vegas for a consultation to discuss this great service! Remember, it’s a New Year and a New You! This entry was posted in Uncategorized and tagged 2018 new hair styles on December 23, 2017 by admin.